Simple ideas are often the best ones. This certainly holds true of Parkrun. The concept is simplicity itself. Sign up online, print a barcode and take it with you to your local Parkrun. Every Saturday morning, tens of thousands of people of all ages and abilities, gather at their local park/beach/forest/woods to run, jog or walk the distance. Upon completion of the 5-kilometre run, you get another barcode with your position on. Volunteers then scan both barcodes and a couple of hours later, hey presto, you have your time, Parkrun points and an age grading. Paul Sinton-Hewitt, founder of Parkrun. In 2004 Paul Sinton-Hewitt had lost his job and he was injured. Down but not out, this was the time when the idea of Parkrun first came to him. 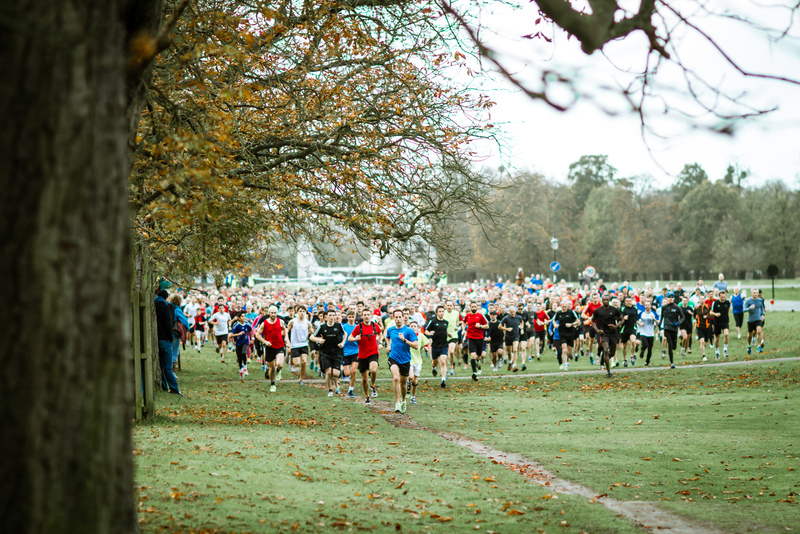 On 2nd October 2004, 13 amateur runners arrived in Bushy Park, London. Parkrun was born. The volunteer team present included Paul and his wife Joanne together with a few of their friends. The second Parkrun wasn’t set up until 2007. Wimbledon was the chosen venue (about 5 miles away from Bushy). Shortly after Wimbledon, Richmond, Banstead and Leeds Hyde Park started to host a Parkrun. 12 years down the line, participation and the number of events have continued to grow. Parkrun is now a global phenomenon, represented in 16 different countries, stretching across five continents. There are over a million registered runners. If you were to add up the total run time of all participants, it would equal 658 Years, 26 Days, 15 Hrs, 15 Min, 4 Secs. Not bad when you consider that when Parkrun first started results were collected on paper and the finish tokens were washers from the local hardware store. Is Parkrun right for me? Parkrun is open to everyone, from Olympians (Jonathan Brownlee ran the York Parkrun in 14.43 as part of his preparations for the 2012 Olympics). To the elderly (Fauja Singh ran the valentines course aged 101, in under 40 minutes). Finish time is unimportant. The main goal of Parkrun has always been to encourage people to get moving. To keep people healthy. To socialise and to encourage people to get out in the open air, enjoying the physical and mental health benefits of exercise. People run with prams, dogs, even enjoying the run on crutches. There is a family feel and the camaraderie is great, with encouragement from the excellent volunteers and fellow runners. To keep you motivated they also offer an incentive in the form of Parkrun t-shirts. These are awarded after 50, 100, 250 and 500 completed runs. A 10 club T-shirt is also awarded to junior runners (aged 17 and under at the time of 10th run). Price is no barrier either, Parkrun is always free. Just register and turn up. And once you’ve registered you can do any Parkrun in the world. From the famous Bushy Park where it all began to the infamous ‘beach run’ on East Strand Beach, Portrush Northern Ireland. Here you can enjoy running alongside the changing seascape of the North Atlantic Ocean. As well as the Saturday morning 5km Parkrun, 127 parks now offer a junior Parkrun too. These take place on Sunday mornings at 10 am for children aged between 4-14. The distance is 2km and times are recorded in the same fashion as Saturday. Junior Parkrun is currently only in the UK and Ireland but set to expand. In these events, children can run unaccompanied, unlike the Saturday Parkrun where children must be accompanied by an adult. You may even run into Spiderman, who knows? What’s so special about Parkrun anyway? There are so many success stories from Parkrun. Many runners share their experiences on the official Parkrun Facebook page. We encourage everyone to take part in Parkrun. In fact, Human Kinetics will be at Huddersfield Parkrun this weekend along with over 600 runners. Autumn is a fantastic time to go running: lovely crisp mornings as the leaves in our parks begin to fall and turn a beautiful orange. Go do it this weekend, just don’t forget your barcode! If you haven’t yet signed up to Parkrun, sign up here and give it a go. If you’re interested in running why not check out some of our running Books too? Previous PostFree webinar: For better or for worse – how has sport biomechanics influenced the game of cricket?